Martti Oiva Kalevi Ahtisaari was born on 23 June 1937 in Vyborg, Karelia. 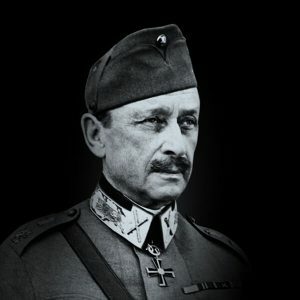 His father Oiva Adolfsen served as a non-commissioned officer in the service corps of the Finnish Army. His father’s family was from southern Norway. 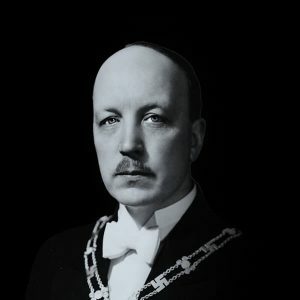 He obtained Finnish citizenship in 1929 and changed his surname from Adolfsen to Ahtisaari in 1935. Martti’s mother Tyyne was born Karonen. During the war Martti’s father was sent to the front as a military mechanic, while his mother moved to the relative safety of Kuopio with their son. Martti’s sister Heli was born when the boy was 12. Kuopio was the setting for Martti’s childhood and schooling, including his first years at grammar school. 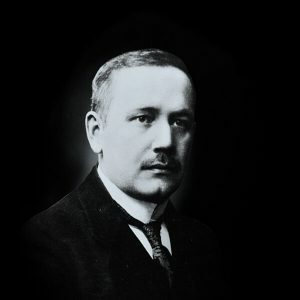 While attending a nature club in Kuopio he met his future wife Eeva Hyvärinen, who had come to study in Kuopio, but they separated when Martti’s family moved to Oulu. 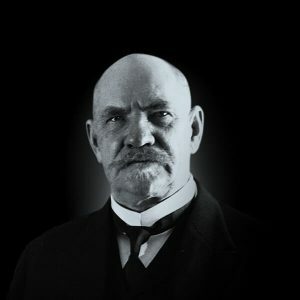 His schooling in Oulu and membership in the local Young Men’s Christian Association (YMCA) were key factors that moulded Martti’s view of the world. At the age of 19 he also joined the Social Democratic Party (SDP). Martti developed into an inquisitive, bold and sociable young man. After completing his military service Ahtisaari was admitted to a teachers’ college in Oulu and qualified as a primary school teacher in 1959. He worked as a teacher in Finland for only a year. In April 1960 the restless young man responded to a job announcement in the YMCA magazine for the position of manager of a students’ home at a Swedish-run physical education college in Karachi, Pakistan. Ahtisaari got the job and embarked on his subsequent career as a citizen of the world and learning firsthand about the challenges of development cooperation. Travelling to work in Pakistan was a bold move in 1960, but Ahtisaari was more than willing. On his return to Finland in 1963 Ahtisaari began studies at the Helsinki School of Economics and Business Administration (Helsingin kauppakorkeakoulu), where he remained active. He was appointed executive director of both the Helsinki International Student Club and the Student International Aid Group. Ahtisaari was involved in creating development aid groups and arranging practical assistance to help foreign students get settled in Finland. 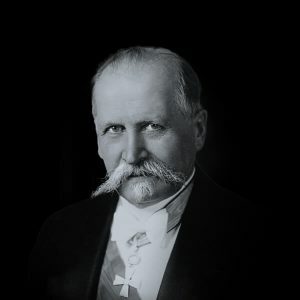 In Finland the task of organising development cooperation was given to the Ministry for Foreign Affairs, which led to the establishment of the Bureau for International Development Aid and later the Department for International Development Cooperation. 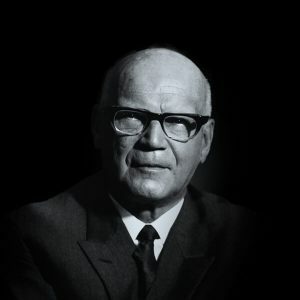 Ahtisaari held the positions of secretary, section head and assistant department head between 1965 and 1973. 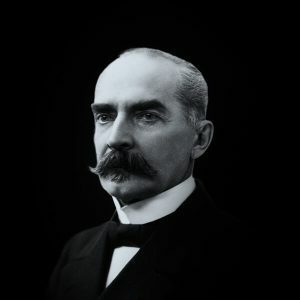 As the second-ranking person in the department, he participated in Finnish cooperation projects, especially in East African. One of the most significant projects was the development of a community in the village of Kiba near the Tanzanian capital of Dar es Salaam as a joint programme of the Nordic countries. The project included a training centre for farmers, a secondary school with courses leading to university entrance and a healthcare centre. While working as a civil servant Ahtisaari came across his childhood friend Eeva Hyvärinen, now a student in Helsinki, at a social event. Ahtisaari gave her his business card, and when she looked at it closely at home she found his marriage proposal written on the back. The same evening she called him to accept. Martti was 30 and Eeva 31 when they married in 1968. Eeva Ahtisaari worked as a secretary for local cultural activities in Espoo and divided her time between her job and her family. Their son Marko was born in 1969. With his proven organisational skills and the support of President Urho Kekkonen, Martti Ahtisaari was appointed Ambassador to Tanzania in Dar es Salaam in 1973. At the same time he was also accredited in Zambia, Somalia and Mozambique. His work in Tanzania from 1973 to 1977 thoroughly familiarised Ahtisaari with East African issues. This included monitoring of Namibia’s process of achieving independence, as Dar es Salaam was a base for the operations of SWAPO (the South West Africa People’s Organisation), the key body of the Namibian liberation movement and later an important political party. Ahtisaari was trusted within African circles, and he was put forward as a candidate for UN Commissioner for Namibia by both the freedom fighters and other influential Africans. His role in this position was to help prepare Namibia for independence. In 1978 the Ahtisaaris moved to New York to begin Martti Ahtisaari’s career at the United Nations, where he continued to work with Namibia. However, the political preconditions for Namibian independence could not be found in the early 1980s, and Ahtisaari returned to Finland with his family to resume his work at the Ministry for Foreign Affairs in Finland. The effectiveness of development cooperation was a lively debate in Finland, especially concerning the possible misuse of resources appropriated for this purpose. As head of the Department for International Development Cooperation and a permanent undersecretary for development cooperation, Ahtisaari sought answers to these questions through practical action. The organisation of development cooperation was made more effective, thus eliminating the cause for criticism. Ahtisaari continued to take part in monitoring the Namibia process and was also able to influence the course of negotiations. In 1987 Ahtisaari was appointed a UN under-secretary-general for financial and administrative matters. Under the pressure of an increasing workload, the UN was faced by growing expenditures and a burgeoning administration. Ahtisaari’s task was to draw up procedures for achieving savings and ensuring that member countries – above all the United States – committed to their share of expenditures. The Namibia issue moved closer towards resolution as the front lines in the Cold War crumbled in the late 1980s. The great powers now called on the African parties involved to agree to independence. After many rounds of negotiations Martti Ahtisaari, who had been appointed special representative of the UN Secretary-General, left for Namibia in March 1989 to lead the country to independence as the head of a UN force comprising some 8000 military and civilian personnel. However, the whole process seemed to be coming unstuck when – in late March/early April, before the UN force had had time to arrive – SWAPO soldiers pushed into Namibia across the border from Angola in order to secure their position in the forthcoming elections. Informing the UN Secretary-General, Ahtisaari delegated the South African forces present in the country to act in the name of the United Nations in order to restore calm. Ahtisaari succeeded in using the path of negotiation to stabilise the situation and to steer events in the direction of elections, which were held in November. The flag of an independent Namibia was subsequently hoisted in Windhoek. The Namibian government recognised Ahtisaari’s achievements and made Eeva and Martti Ahtisaari honorary citizens of Namibia in 1992. Ahtisaari was appointed Secretary of State, the highest permanent civil servant of the Ministry for Foreign Affairs, in 1991. The position was particularly well suited to Ahtisaari with his previous experience in development cooperation, as well as financial and administrative affairs at the UN. 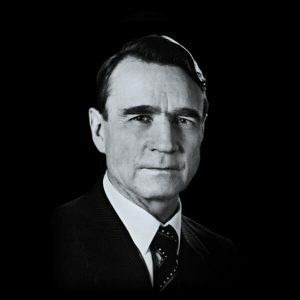 The 1994 presidential election took place in a situation in which Finland had fallen into a deep economic recession. Trust in the traditional actors within the power structure was wavering, and the politicians were seen as incapable of leading the country out of its difficulties. The method of electing the president had also changed, as for the first time a direct, two-round popular election replaced the electoral-college system. 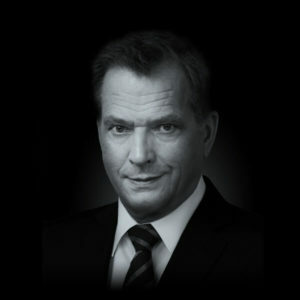 Politician and journalist Lasse Lehtinen from Kuopio was one of the leading figures who convinced Ahtisaari to stand as a representative of the Social Democratic Party. 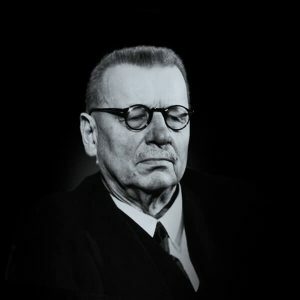 In the pre-selection of candidates on 16 May 1993, Ahtisaari beat long-standing prime minister Kalevi Sorsa having succeeded in gathering more votes among non-party members. Ahtisaari then campaigned actively around the country and attended some 300 events in the run-up to the presidential elections. 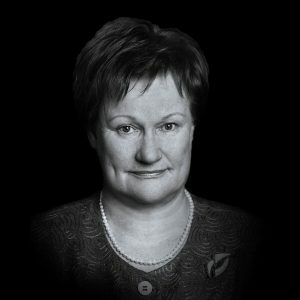 In the final round of voting, Ahtisaari faced a strong female candidate, Elisabeth Rehn of the Swedish People’s Party, and won 53 percent of the votes. 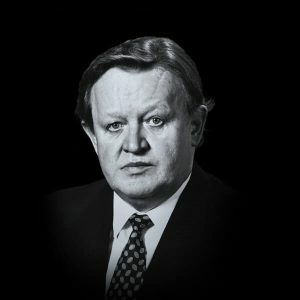 The starting shot for his presidency, which began on 1 March 1994, was the EU membership treaty negotiated by Finland and partly prepared by Ahtisaari himself during his time with the foreign ministry. In a referendum held in October 1994, 57 percent of Finnish voters were in favour of joining the European Union, making it possible for accession to be implemented at the beginning of 1995. Promoting a European system of collective security and Nordic cooperation alongside a security policy that did not include membership of the North Atlantic Treaty Organization (NATO) were key elements of Ahtisaari’s foreign policy. President Ahtisaari travelled abroad on 129 occasions, building up relationships that were vital for foreign trade, for example. He also undertook monthly tours of Finland, keeping his election promise to main a dialogue with “ordinary” Finns. The climax of Ahtisaari’s term as president came with his role – in collaboration with the former Russian foreign minister Viktor Chernomyrdin – as an intermediary in the achievement of a treaty to end the war in Kosovo. The war, which lasted almost two-and-a-half years, ended on 3 June 1999 when Yugoslav President Slobodan Milosevic agreed to NATO and Russian peace conditions as negotiated by Ahtisaari and Chernomyrdin in Belgrade. The success of these negotiations provided much positive publicity for both Ahtisaari and Finland. Martti Ahtisaari did not seek re-election in 2000. Since leaving office he has held positions in various international organisations. He also founded the independent Crisis Management Initiative (CMI) with the goal of developing and sustaining peace in troubled areas. Today CMI is one of the leading actors in its field. In 2008 Ahtisaari was awarded the UNESCO Félix Houphouët-Boigny Peace Prize in recognition of his lifetime contribution to world peace, and in December of the same year he accepted the Nobel Peace Prize. Ahtisaari continues to work in numerous organisations promoting peace. He also initiated Ahtisaari Day, an annual event among schools in Finland that takes place in November around his name day. The Ahtisaari Day website www.ahtisaaripäivä.fi offers solutions for resolving crises – both large and small – by means of discussion. Martti Ahtisaari has a courtyard named after him outside the Ministry for Foreign Affairs in the Katajanokka district of Helsinki and a square named after him in Oulu.